After a career of twenty years as a psychologist and family therapist, Nancy Rauch Douzinas decided to devote herself to expanding and building the Rauch Foundation, a family foundation created by her father and uncle in 1961. 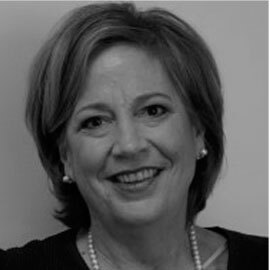 In 1990 she became President of the Foundation and under her leadership the Rauch Foundation has sought to be a change agent on Long Island and in Maryland. Understanding the value and cost/benefits of a prevention-based approach to social and clinical problems, Dr. Douzinas helped develop such an orientation for the Foundation and its grants in the areas of children and families, the environment and the development of civic and non-profit leadership. Dr. Douzinas has played a pioneering role in regard to sustainable development by creating the Long Island Index and convening its Advisory Committee. A status report on the quality of life on Long Island, the Long Island Index has received wide acclaim for being a catalyst for the development of regional awareness and understanding. Dr. Douzinas writes a monthly article “What Every Long Islander Should Know” that appears in a number of Long Island business and community newspapers. In keeping with her broad range of community concerns and personal interests, Dr. Douzinas serves on the boards of Teachers College, Columbia University; the Society for the Preservation of Long Island Antiquities; the Energeia Partnership; North Shore Land Alliance and the newly created Accelerate Long Island. A lifelong resident of the New York area, Dr. Douzinas graduated from Smith College and received a Masters degree and doctorate from New York University in Community Psychology where she wrote her dissertation on how young children cope with the birth of a sibling. She has traveled extensively, speaks several languages and has lived abroad for several years. She and her husband reside in Lloyd Harbor and have two married daughters and five grandchildren.